B & B Four Winds is located in the center of Vlissingen in the beautiful and quiet place 'Four Winds'. 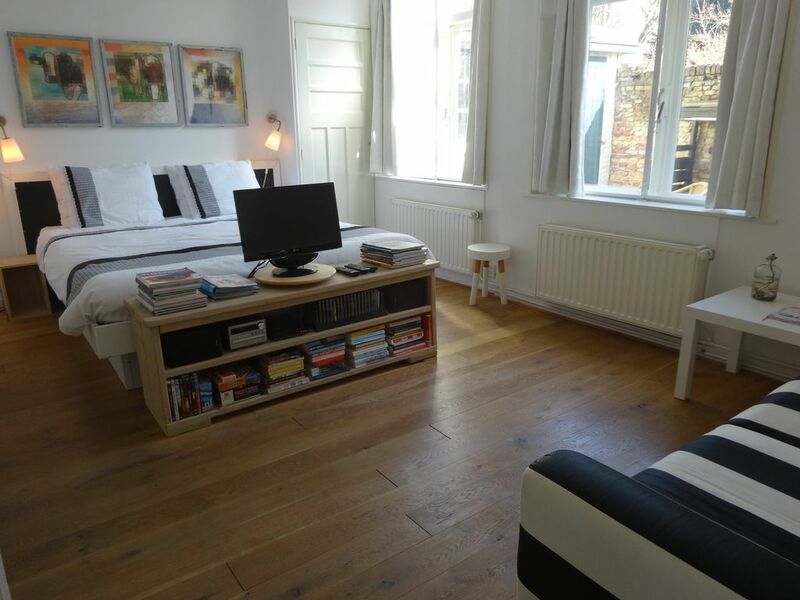 The B & B is completely renovated in early 2011 and is a part of the ground floor. You stay in a spacious room in a separate part of the house with private bathroom and toilet. Would you like to sleep in and have breakfast? Or, in contrast to get up very early? At B & B Four Winds You decide what time you want to eat. Breakfast with bread that you can abbacken itself, with cheeses, meats and drinks, stands in the kitchen. In summer you can have breakfast in the sun on your private patio. The kitchen is to wash used by us only between 12 and 00 18 00 Clock. You can cook yourself here in the evening. Plugs and utensils are provided. In short enough reasons Vlissingen and get to know B & B Four Winds! Super leuke gezellig bed And breakfast op een schitterde locatie in Vlissingen! Alles op loopafstand! Top verzorgd allemaal... ontbijt, service.. alles! Unser Feriendomizil war sehr schön eingerichtet. Es war immer mehr als genug Essen vorhanden. Wir wurden sehr freundlich und zuvorkommend empfangen und verabschiedet. Wir waren alles in allem sehr zufrieden. Man ist in 2 Minuten mitten in der Fußgängerzone der Innenstadt. Bars, restaurants and terraces on the, Bellamypark 'are 100 meters away. The shops are at 200 meters. There is also a supermarket. The beach promenade is only a 5 minute walk. Here it is, or enjoy a pleasant stroll on one of the terraces enjoy the view of the large vessels close go here at the coast past. On the 'Badstrand' or the 'Nolle beach' you can relax in the sun.